Arjun market in Phase 1 is most definitely the closest thing to Sarojini Nagar in Gurgaon—with its cheap export goods and chaatwallahs. The market mostly sells export surplus clothing, but even the tiny defects on these pieces are repaired by the shopkeepers here. So, if you’re brand-conscious or concerned about the quality, but unwilling to spend exorbitant prices at the mall, Arjun Market is the place for you—and hey, you don’t need to make the commute to the flea markets of Delhi anymore for your monthly dose of cheap shopping! The market’s menswear ranges from street stalls that are heaped with shorts, jeans and even some winter wear at very affordable prices. Another item you can strike off your shopping list here is sportswear at affordable prices. No more is expense an excuse to shirk the workout you’ve been avoiding.You'll also find artificial jewellery, handbags, footwear and other accessories at affordable prices. 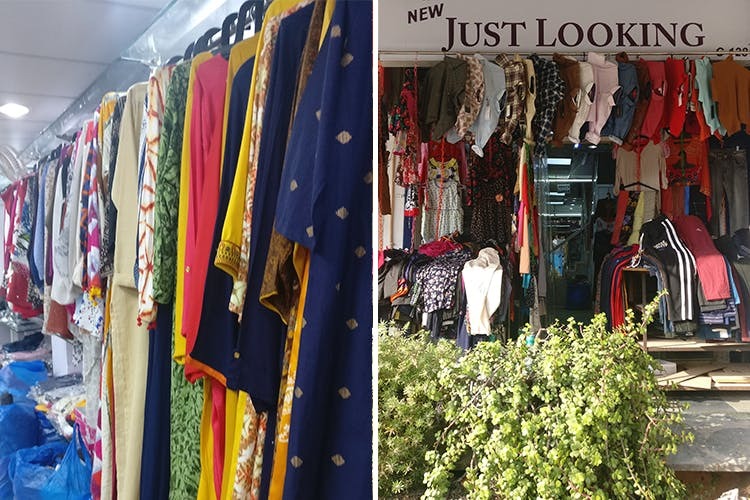 We would definitely revisit the market for the great kurtis, ethnic wear and comfy pyjamas that are almost always on sale here. Since the market offers inexpensive stuff, you might want to be careful while picking and choosing, so you don't end up with low quality products. Don't forget to try out the street food on your shopping day out here–go for the gol gappas, chaat, and hey, roadside momos FTW!